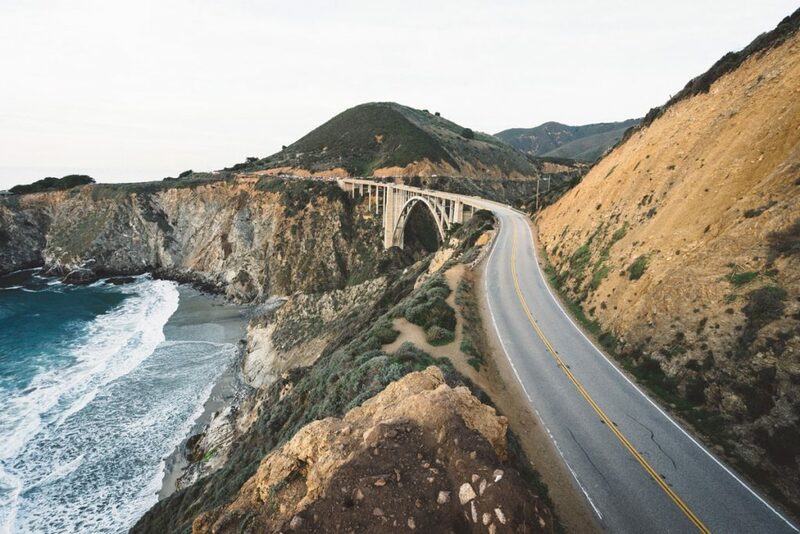 A California road trip on the iconic Highway 1 is one of the best ways to enjoy all the region has to offer. You can self-drive with ease, or enjoy a guided trip in 1 week to 10 days depending on your pace. While the number of potential itineraries, detours and spontaneous adventures is limitless, here is a classic itinerary for the classic Highway 1 road trip from San Francisco to San Diego. 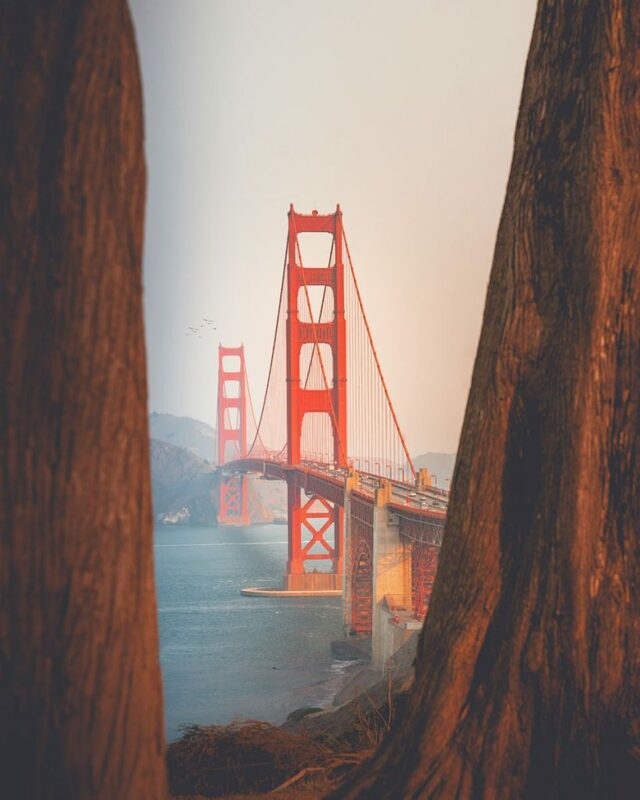 Start your journey in the San Francisco Bay Area of Northern California. San Francisco is a creative city.While bohemian artists and hippies have been replaced by Silicon Valley tech workers, the city still retains its quirky feel. San Francisco is famous for its hilly streets, clackety old trams and ‘painted lady’ Victorian houses…and year-round fog. 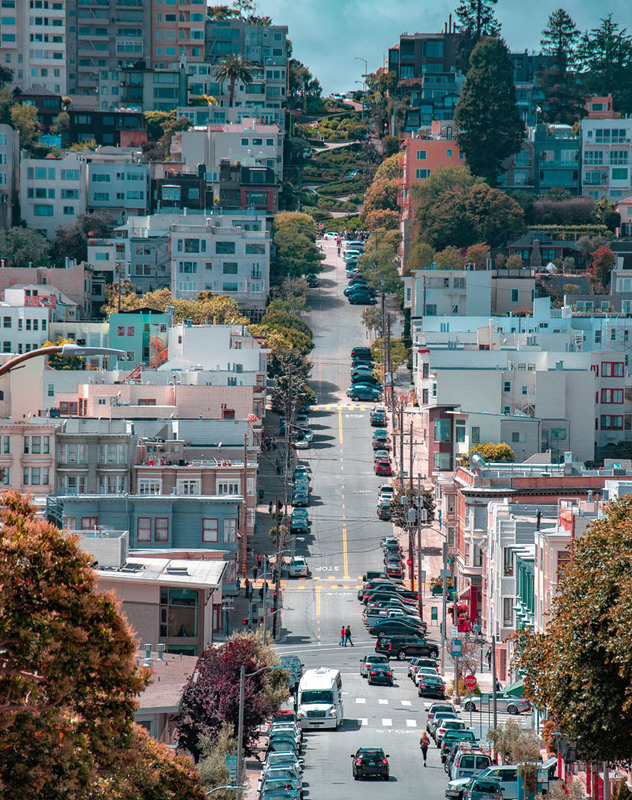 City highlights include Golden Gate Bridge Park, the ‘hippie district’ of Haight-Ashbury and vibrant Chinatown – the largest Chinese settlement outside of Asia. 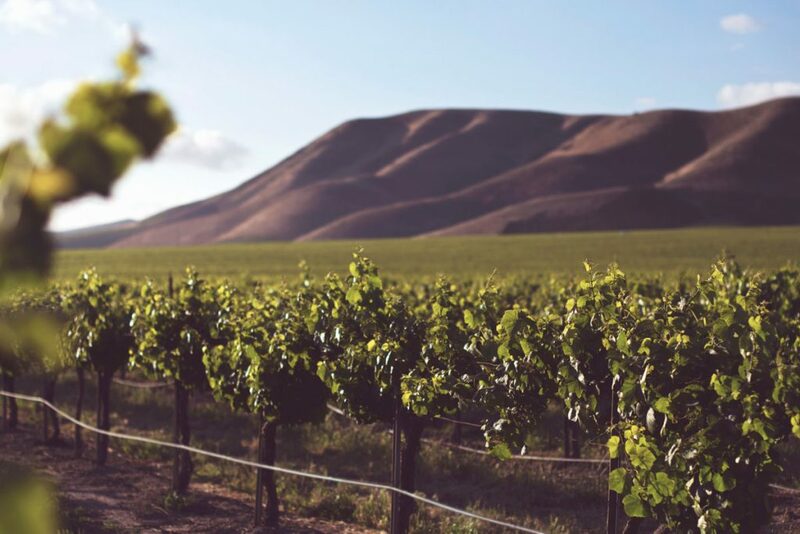 Heading north of San Francisco, you’ll soon arrive at two of the finest wine-growing regions in the country: Napa and Sonoma. Napa Valley is home to hundreds of upscale wineries offering tours and tastings. Robert Mondavi Winery is one of our favourites. 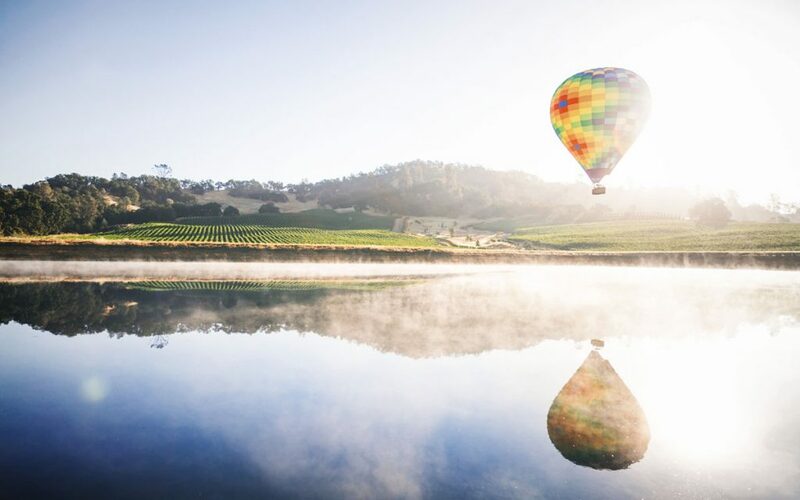 Hot air balloon rides are a breathtaking way to capture the views over this stunning valley. Jump aboard the Napa Valley wine train and take a 36-mile round trip in a luxury vintage setting. Enjoy a 4-course meal and 3 winery visits from the sumptuous comfort of early 20th Century Pullman cars. If Napa is posh and polished, Sonoma is home to more artisanal, home-grown wineries. While both Napa and Sonoma made the headlines during the devastating California fires, less than 14% of vineyards were affected and over 400 wineries are open for visitors. The best way for Californian wine connoisseurs to support the region is to continue to visit. Try not to get locked up on Alcatraz! Once famous for sardine canning, this lovely seaside town is now the centre for marine preservation in California. The old fisherman’s’ wharves and canneries have been transformed into upscale shopping and dining areas, and one of the main attractions is the world-famous Monterey Bay Aquarium. One of the best ways to explore the marine reserve and see wildlife up close is by kayak. Paddle through the underwater kelp forest and spot seals, sea lions and even sea otters if you’re lucky. 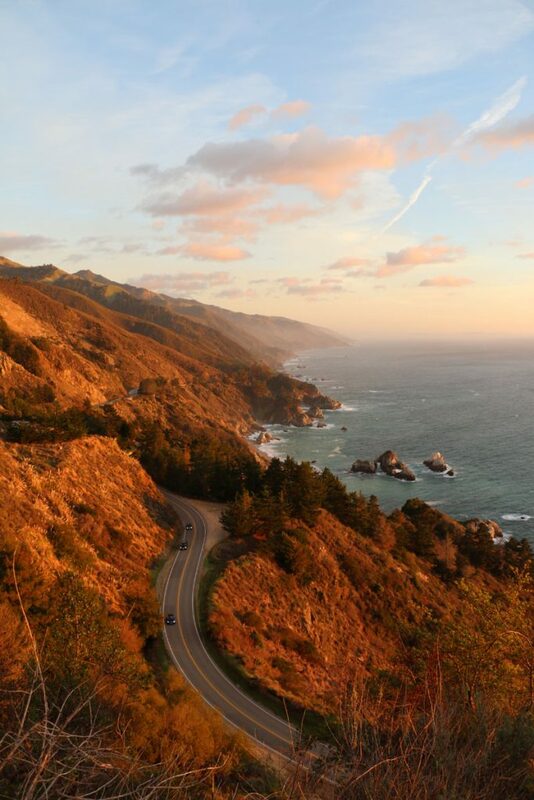 The Pacific Coast Highway is the ‘wow’ moment of your road trip, so you’ll want to take your time. This scenic section of Highway 1 between Carmel-by-the-Sea and San Simeon is fringed by majestic redwood trees on one side and jagged coastline on the other. Carmel is a very special place. It looks just like a film set, and it’s almost no surprise that actor and Director Clint Eastwood was once mayor here. The fairytale cottages were built in the 1920s and modelled on a traditional English village. The charming town is peppered with art galleries, boutiques and local restaurants and overlooks a beautiful horseshoe beach. 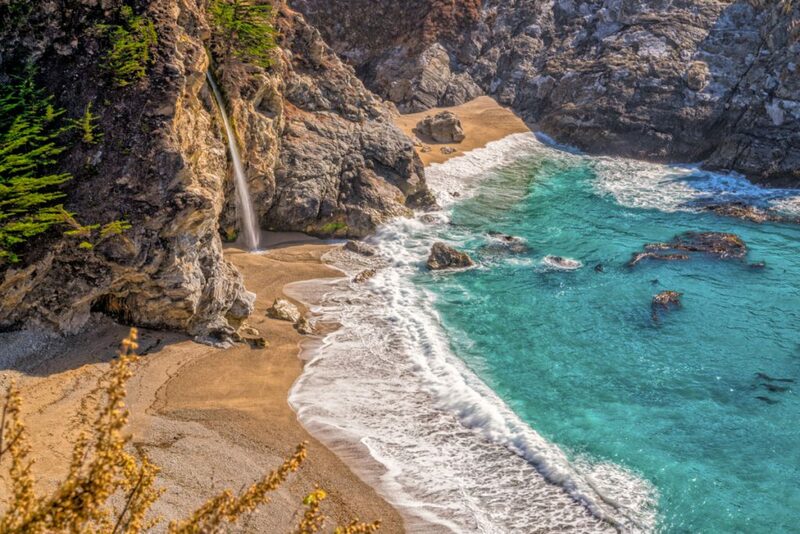 Big Sur is neither a town nor a or settlement but a 90-mile stretch of dramatic coastline between Carmel-by-the-Sea and Hearst Castle overlooking a marine reserve. 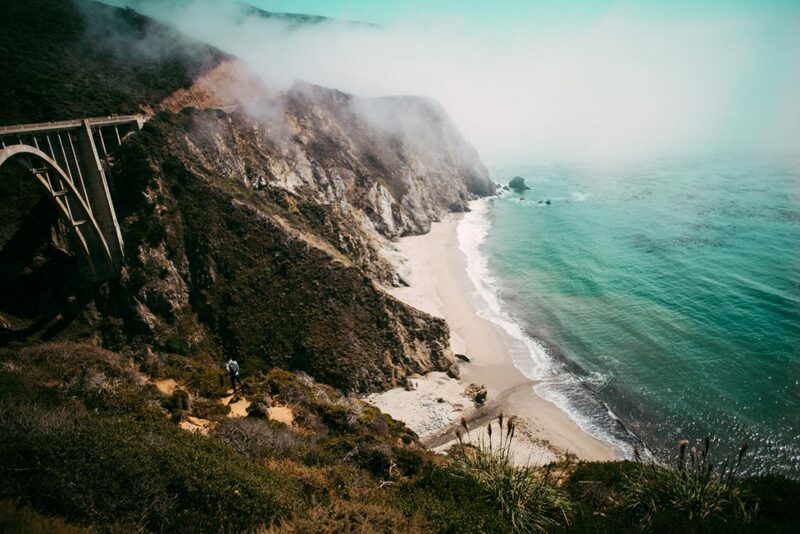 Cross the striking Bixby Creek bridge and stop at scenic lookouts to scan the horizon for whales, endangered Californian condors or the rare sea otter. There are plenty of secluded beaches for a romantic sunset sundowner in Big Sur. Hearst Castle is the improbably extravagant home of 20th Century newspaper tycoon William Randolph Hearst. Set high above the Pacific Coast highway at San Simeon with wrap-around views of the coastline, the house and grounds were built over 30 years. At one time, there were even zebras in the grounds! It’s a monument to 20th Century opulence and excess and really is a must-see. Los Angeles is a heady feast for the senses, but there is really no place like it. Walk the Walk of Fame and see your favourite film star’s handprints outside Mann’s Chinese Theater, or shop like a celebrity on Rodeo Drive. 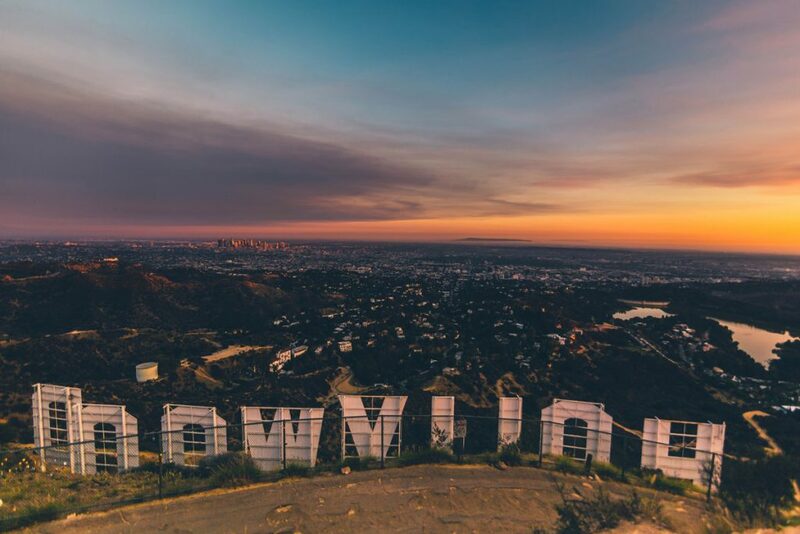 Catch panoramic views over the city from the Hollywood Hills or the Griffith Observatory. 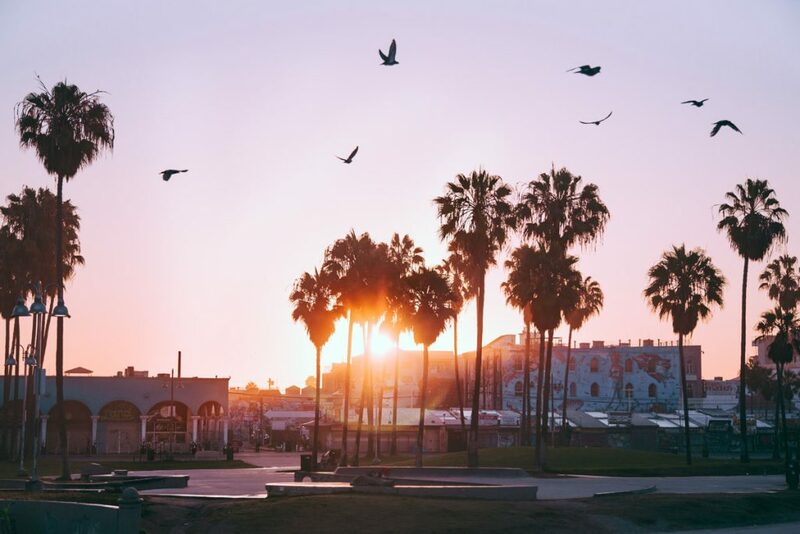 If big-city life is too much for you after the wide open spaces of the Pacific Coast drive, head to Santa Monica or Venice Beach. Venice is the quirky and bohemian sea-front town popular with skateboarders and bodybuilders, with a charming ‘Little Venice’ canal flanked by colourful modernist homes. Santa Monica is a coastal city with a lovely beach and boardwalk. 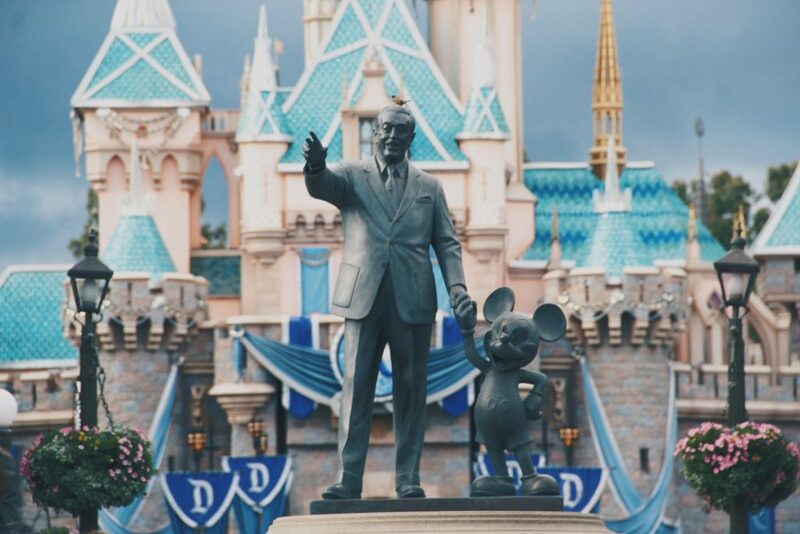 For the young and young-at-heart, Disneyland Park at Anaheim, South of Los Angeles, is a highlight of any trip to California. This sunny, lively city may not have as many attractions as San Francisco or Los Angeles, but San Diego makes up for it in good vibes. San Diego has beach-side attitude with big-city excitement. 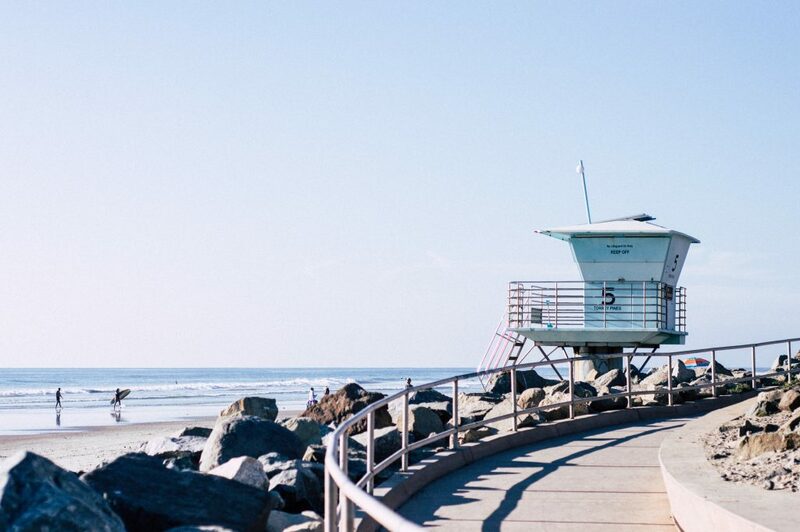 Sun-soaked San Diego has one of the best climates in the whole of the U.S., and there are plenty of places to enjoy it. Balbao Park is the cultural heart of the city; the 1200 acre urban oasis contains multiple parks and attractions, including 30 museums. Coronado Island City is a tree-lined beach haven just across the water from San Diego. Take a short ferry or travel over the 2-mile Coronado bridge and find hotels, resorts and great restaurants. The nearby Torrey Pines state natural reserve just north of the city is a great place for a quick hike. Enjoy the rugged natural beauty from the top of the cliffs and watch the sun set over the Pacific Ocean. Alternatively, grab a sundowner at one of the Gaslamp Districts’ many rooftop bars and start making plans for your next road trip. As they say in California, dream big! Feeling inspired? 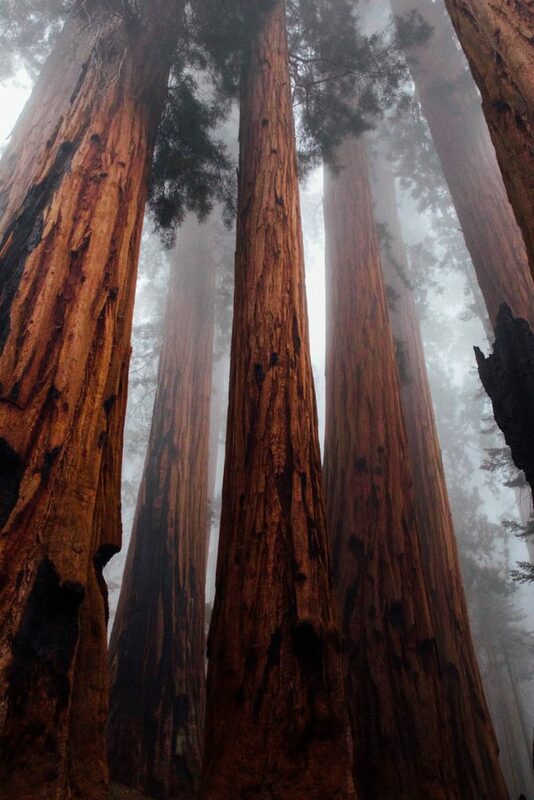 We’d be delighted to help you plan your Californian adventure alongside our trusted partner North America Travel Service.